- Patrick Spottiswoode, Director of Globe Education, Shakespeare's Globe. - Views from the Gods. 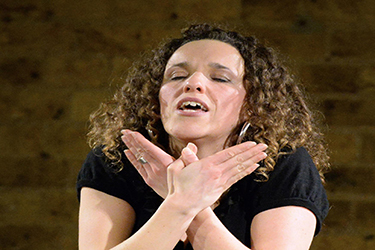 Created for a sell-out show at The Hay Festival, toured internationally and performed to acclaim at Shakespeare's Globe, this is a storytelling event you cannot miss. 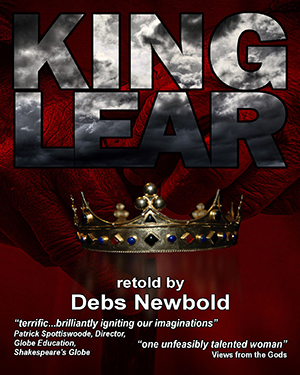 Debs Newbold's work brings together the poetic and the irreverent, the ancient and the defiantly modern. 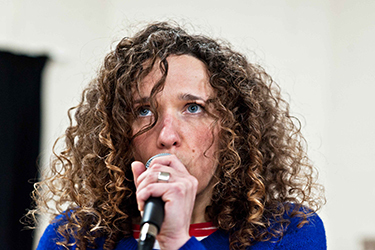 Debs is one of the UK's most acclaimed Performance Storytellers, regularly playing venues such as the Royal Opera House, Southbank Centre and Shakespeare's Globe, as well as touring internationally. 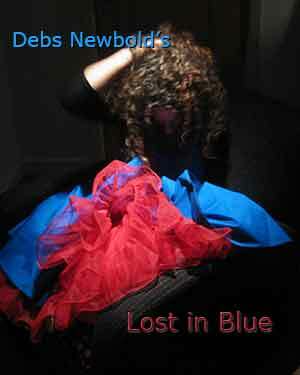 Debs Newbold is planning to tour her brand new show, Lost in Blue, during Spring & Autumn 2016. 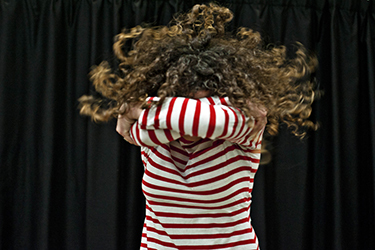 As the tour is dependent on a successful Grants for Arts Funding application, we are currently looking for venues who are interested in the show, and who are able to pencil a date and/or provide a letter or email expressing their interest. If you’re interested in dates outside the above tour dates, just let me know and I’ll check availability. 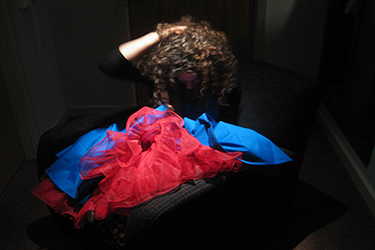 When she was three years old, Annie's life was skewed off-course. On her 18th birthday, it threatens to happen again. What is it like to be in a coma? To love someone in a coma? What would Van Gogh say about it if you hung out with him in his room at Arles? And what does a pigeon called Muhammad Ali eat for breakfast? 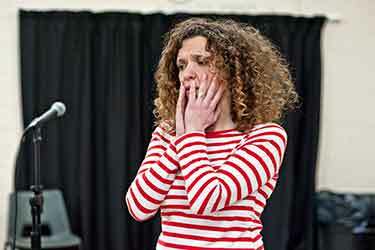 Lost in Blue is a funny, uplifting, poignant and at times wonderfully bizarre one-woman show. 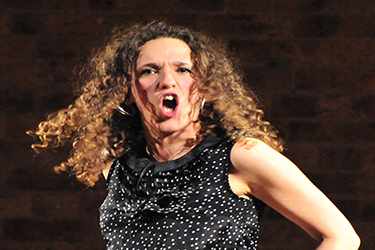 This is Verbal Cinema; Debs Newbold's powerful storytelling fuelled by innovative sound technology. I thought it was amazing. You’re an extraordinary storyteller...I was immersed in it straight away.